A common question that arises when you are faced with bankruptcy is whether or not you will lose your home. This is a terrifying thought that may lead you to think that foreclosure is the only answer. Before you starting searching for a foreclosure defense lawyer in Jersey, first you need to understand there are several different options to retaining a property after a bankruptcy proceeding is commenced [add this link: http://blog.scura.com/the-basic-differences-between-chapter-7-chapter-13-and-chapter-11-bankruptcy]. A debtor’s property is considered property of the estate pursuant to 11 U.S.C. §541 and therefore is considered to be within the confines of the Bankruptcy Code. Depending on the amount of debt under 11 U.S.C. §109(e), the debtor may be able to file for Chapter 13 or Chapter 11 protection as long as they are receiving regular income. If a debtor is not receiving income or does not have sufficient income to fund a reorganization plan under Chapter 13 or Chapter 11, they may file a Chapter 7 bankruptcy. Chapter 13 and Chapter 11 bankruptcies, by their very nature, provide the debtor with more options regarding retaining their properties, as both chapters provide a reorganization of debt. As in a Chapter 7, the debtor in a Chapter 13 or Chapter 11 bankruptcy case has the option to attempt to negotiate a loan modification with their mortgage company. In practice it is very hard to finalize a loan modification negotiation within three months. The reason being that there are several variables that cause a lapse in time, such as the debtor failing to timely provide documents and a lag in communications between the debtor’s and the bank’s attorney. In a Chapter 13, the debtor can retain their home if they file a “cure and maintain” plan. When a Chapter 13 is filed, a plan for proposed repayment to creditors is filed by the debtor. The creditors are bound by the plan once it is confirmed by the Court. 11 U.S.C. §1327. A Cure and Maintain takes the entire past due amount on the mortgage (arrearage) and spreads it out over a period of up to five years. 11 U.S.C. §1322(d). The debtor will remit monthly payments to the bankruptcy Trustee to pay the mortgage arrears. This is the cure part of the plan. The maintain part comes from the debtor maintaining their regular monthly mortgage payments to the bank directly. Essentially, the debtor will remit two monthly payments, following the month their Chapter 13 is filed. One payment will be the debtor’s regular monthly mortgage payment, directly to their mortgage holder and the other payment will be to the Bankruptcy Trustee and will represent a portion of the past due arrears owed on the mortgage. At the end of the bankruptcy case, the debtor will receive a discharge and will be completely current on their mortgage assuming all payments were made towards the arrearage. 11 U.S.C. §1328. In a Chapter 11, a debtor (other than a “small business debtor”) has 120 days from the case filing to file a plan of reorganization. 11 U.S.C. §1121(b). This period can be extended, up to 18 months, if the debtor files a motion to extend the time and the judge approves the same. The plan is then proposed to the court which gives creditors an opportunity to object, including the mortgage company. 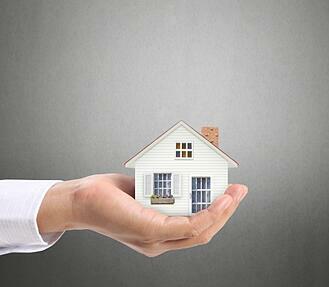 This plan can propose to save the home based on paying the past due amount. If no objection to confirmation has been timely filed, the Bankruptcy Code allows the court to determine whether the plan has been proposed in good faith and according to law. Fed. R. Bankr. P. 3020(b)(2). Once the plan is confirmed, the debtor can pay their mortgage company the arrears owed, over time, as in a Chapter 13 plan. Your house is more than a building, it’s a home. If you’re considering bankruptcy, before you worry about needing a foreclosure defense lawyer, contact our New Jersey bankruptcy attorneys to learn more about the options you have to keep your home.